We’re pleased to announce the Cities Summit, a new convergence program for SXSW 2018. The more people we have envisioning the future of our cities brings more promise of building solutions that work for everyone. 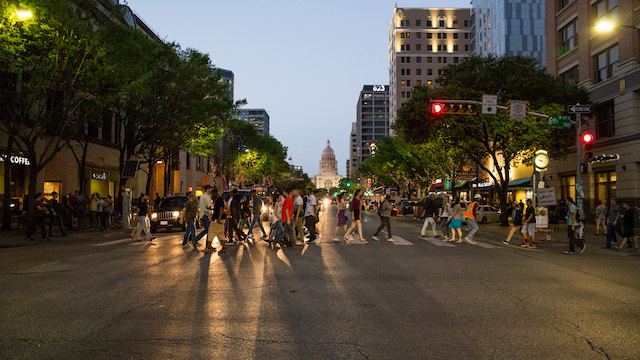 We invite all urbanists from the SXSW community – the storytellers, the entrepreneurs, the designers, the musicians, the fans, industries, government officials, and more, to create a dialogue about the opportunity and potential cities hold. The Cities Summit will be accepting programming proposals through the SXSW PanelPicker, which opens Monday, June 26. We encourage you to be creative and think outside the box when entering your session idea. The Summit will include experimental programming formats and creative interventions that explore the cities of the future. Learn more, get involved and plan your participation at sxsw.com/cities.